Crown shaped basket for baptism in pink-white color embellished with pink and silver rhinestones. Inside has a pink polka dots drawstring pouch, which is attached into the basket, and contains 5 koufeta (sugar coated almonds) or smarties. 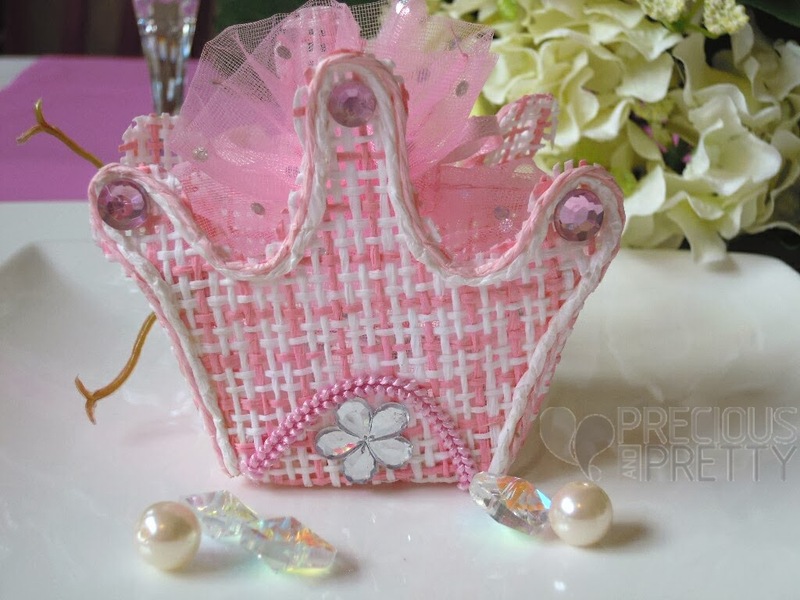 https://www.preciousandpretty.com/2014/01/baptism-favors-crown-for-girl.html Greek Wedding Favors|Orthodox Crowns|Stefana|Baptism Invitations Baptism favors crown for girl B007 post about crown shaped basket with sugared almonds which is used in girl's christening Product #: Greek Wedding Favors|Orthodox Crowns|Stefana|Baptism Invitations_6810738981244886289 5 stars out of 5 reviews.